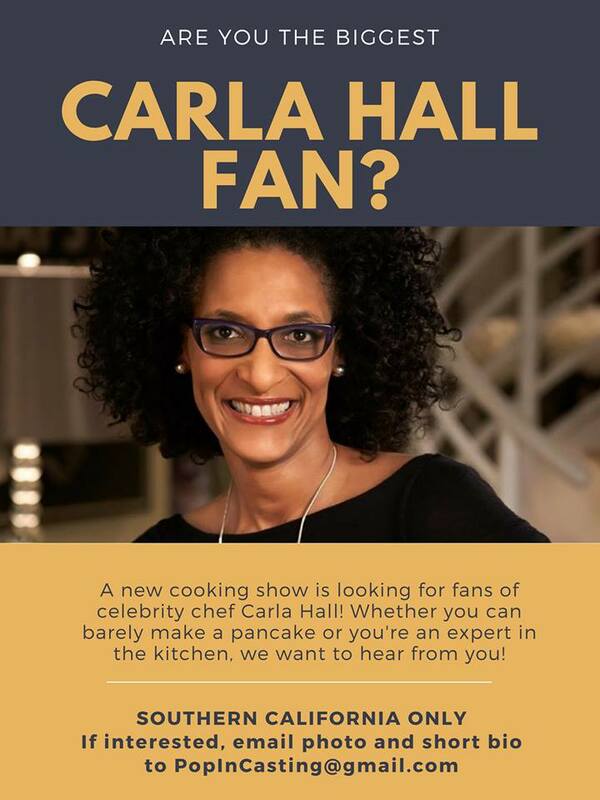 Are you a huge fan of Carla Hall? A new cooking show is now casting in the Los Angeles / SoCal area for fans of Celebrity chef, Carla hall. No need to be a culinary expert on this one. The show is casting people at all culinary skill levels and according to the casting notice, the casting directors would like to hear from people who can barely make a pancake as well as those who consider themselves experts in the kitchen. Carla Hall is a former model, Top Chef contestant, chef and a daytime talk show host. Hall comes from Nashville, Tennessee and became a celebrity following her appearances on Bravo’s long running culinary competition, Top Chef. Carla Hall appeared in the fifth and eighth seasons of Top Chef and has made numerous guest appearances on various TV shows since then. In 2011, Carla Hall became a co-host on ABC’s The Chew, a one-hour talk show focused on food of all kinds. If you live in the Los Angeles area and are a huge fan, check out the below casting notice for the details on how to apply.